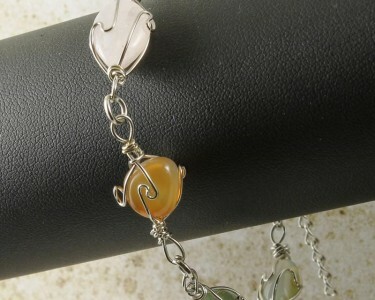 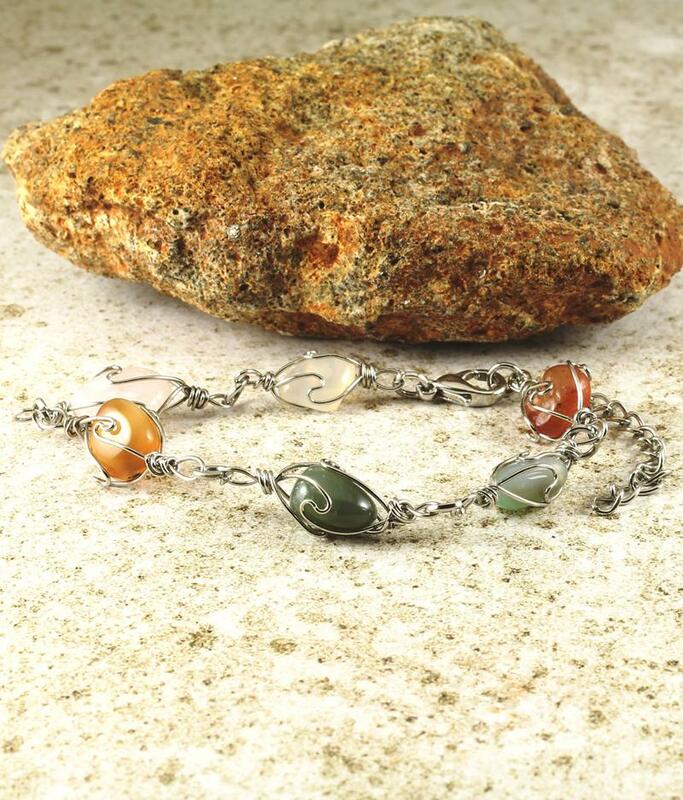 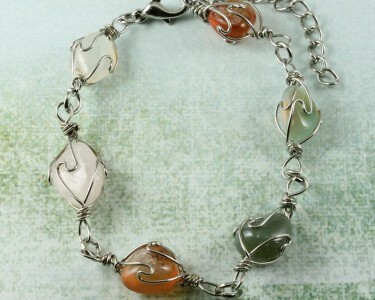 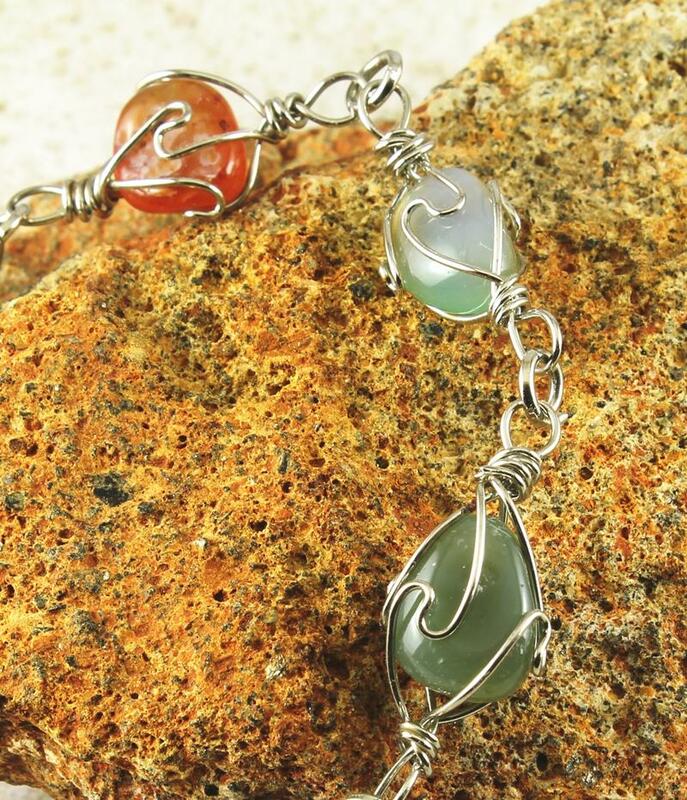 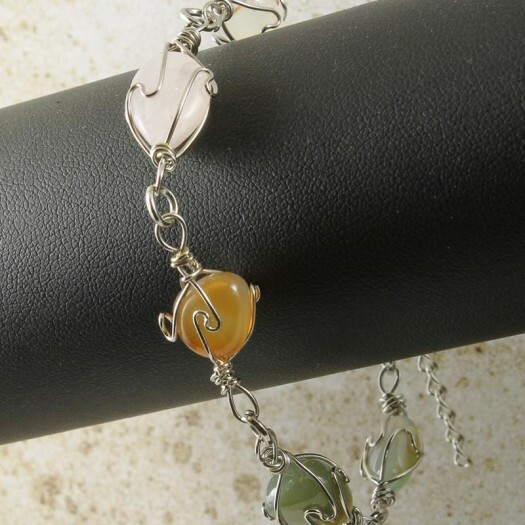 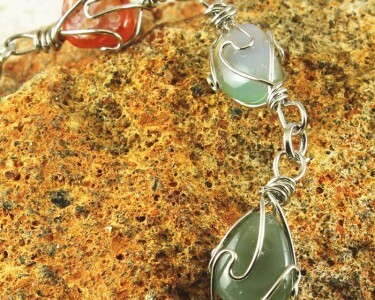 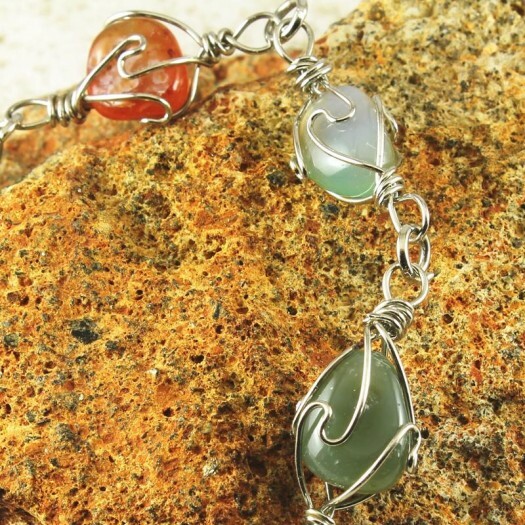 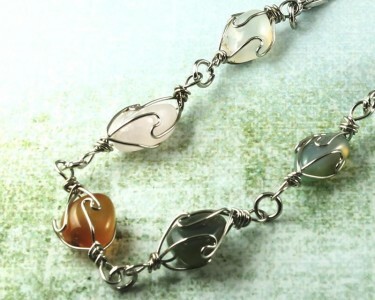 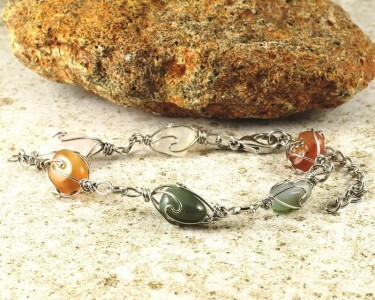 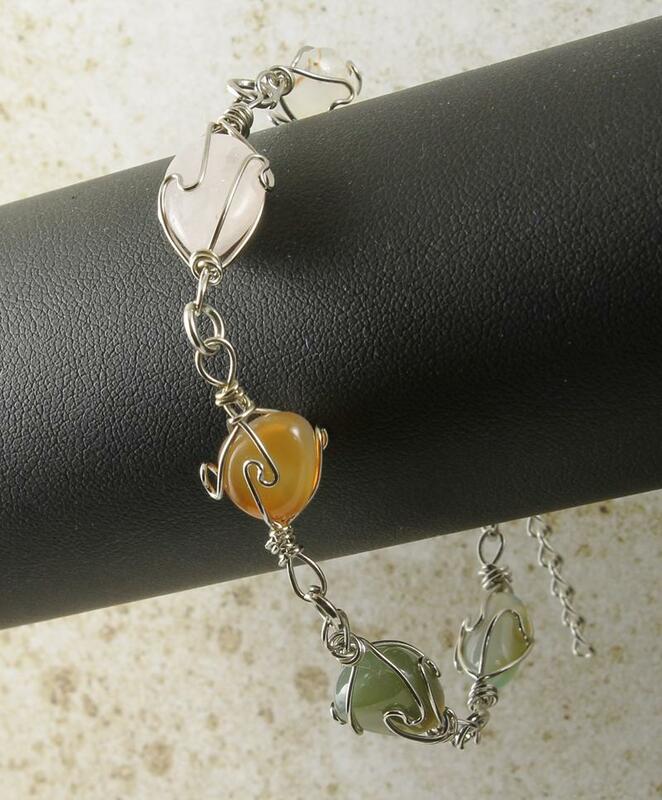 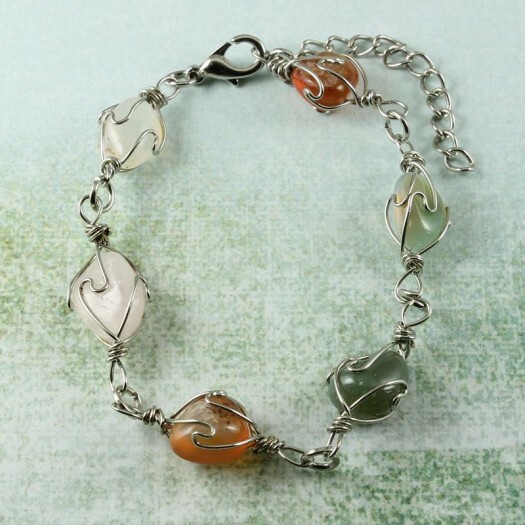 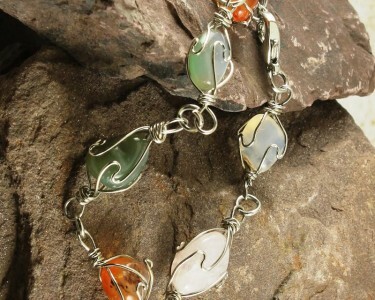 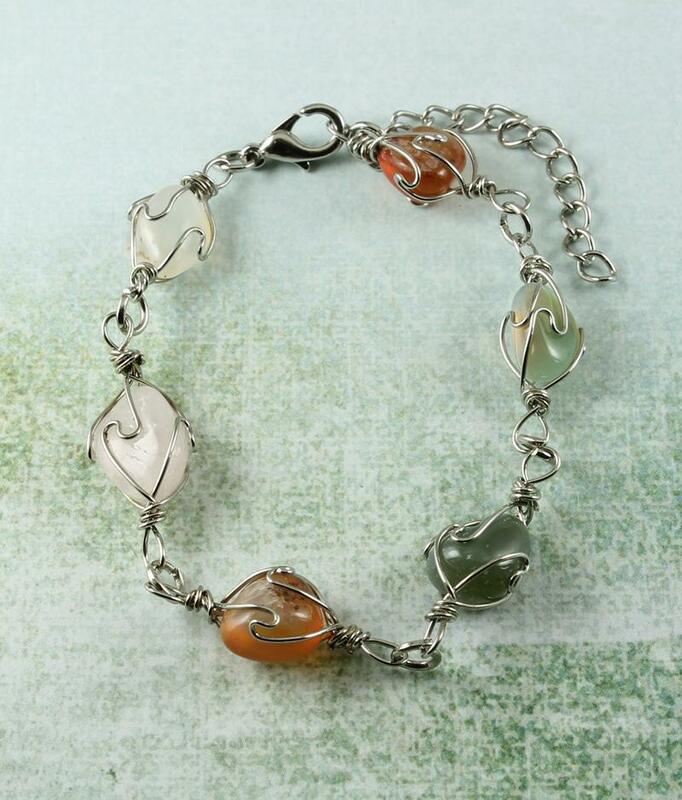 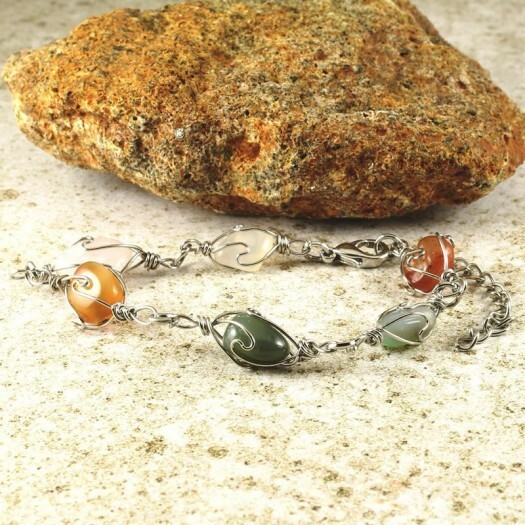 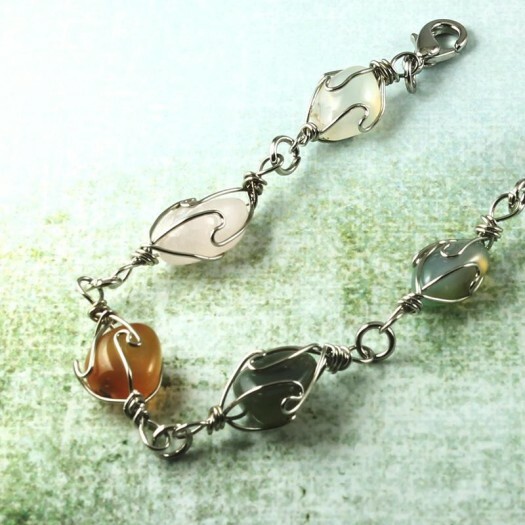 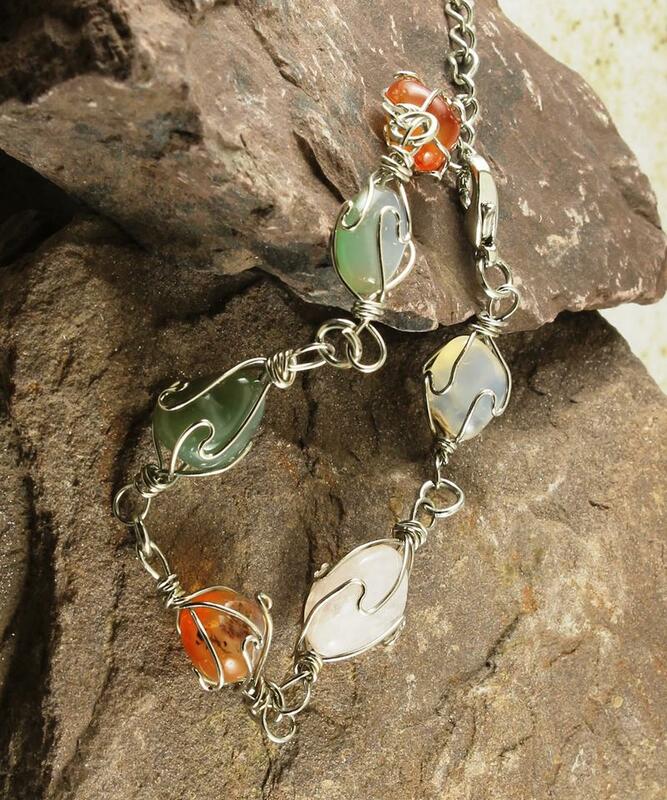 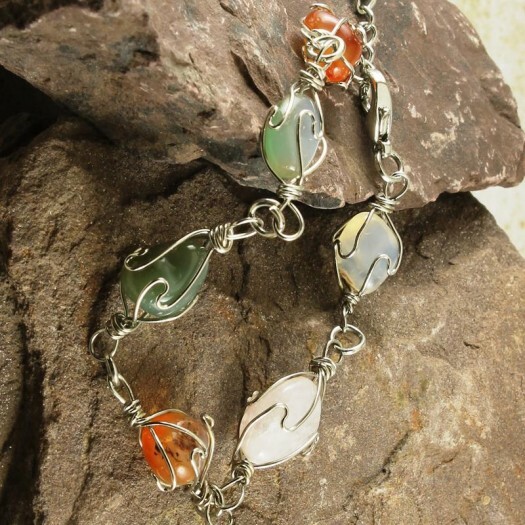 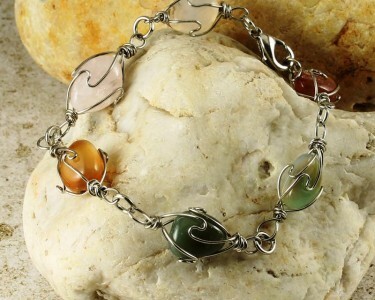 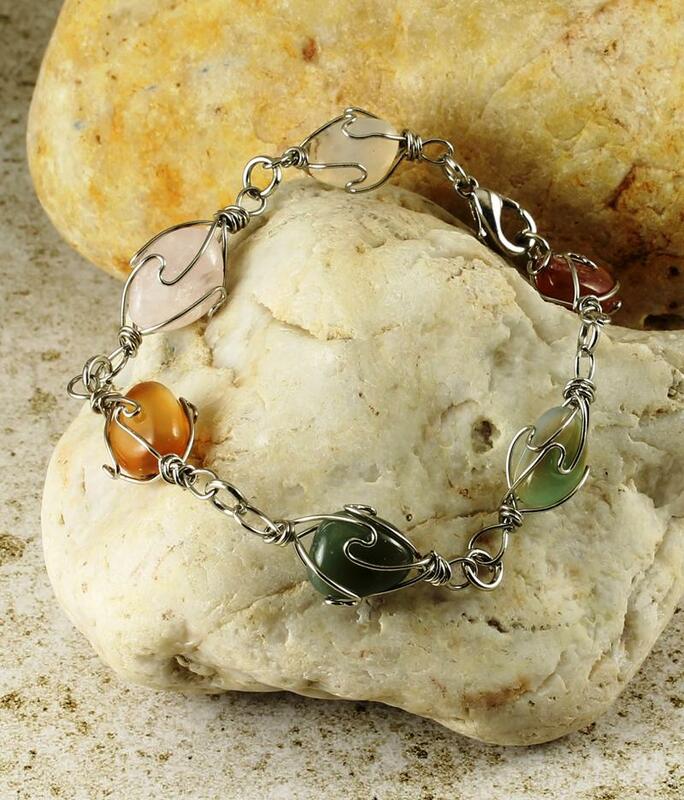 This exquisitely coloured bracelet comprises 6 wire-wrapped polished Agate gemstones in a variety of Autumn (Fall) tones, fastened with a lobster clasp with extender chain. 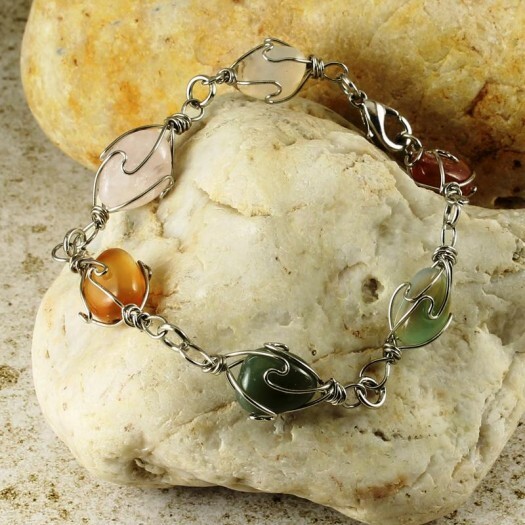 Wear It With : An affordable, delectably crafted bracelet with subtle colour mixing that will create admiration and interest from a mesmerised audience. 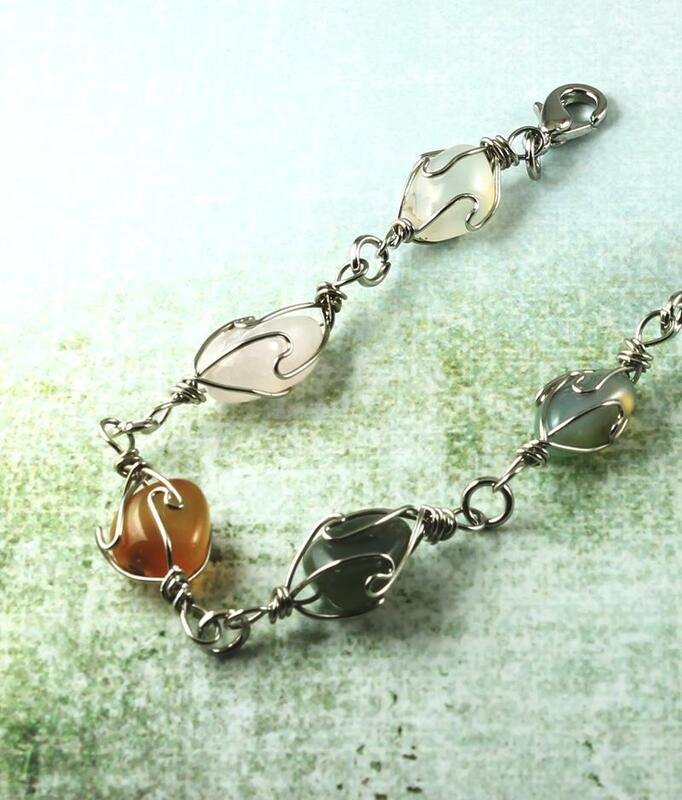 It will go very nicely with black or white and with your denims, and will provide a stunning compliment to outfits shaded in the hues of Autumn (Fall).